Noel and Robyn welcome you to their well grassed and terraced holiday park. Set amongst a variety of trees and adjacent to the crystal clear waters of the Selwyn River, this is an ideal place to relax and enjoy the company of family and friends. A central amenities building houses a useful kitchen, a laundry with automatic equipment and a clean well maintained ablutions block. The Selwyn River runs alongside the camp and a swimming hole with a rope swing has been created for all members of the family to enjoy. We also have a large children’s playground and during the Christmas holidays access to the school pool next door is available. 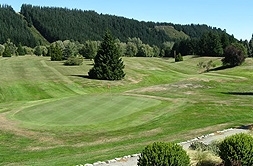 The beautiful Hororata Golf Course (18 holes) is next door on the other side and there is a large reserve and sports ground including a tennis court adjacent to the camp. 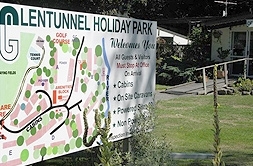 We are situated in the tranquil township of Glentunnel. 10 minutes away is Darfield where you will find a supermarket and bars and cafes. We are 20 minutes from Springfield where you can catch the famous Tranz Alpine express daily to the West Coast or Christchurch. 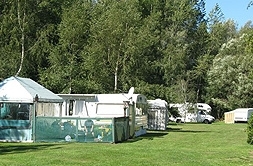 Pick-ups from Darfield can be pre-arranged.